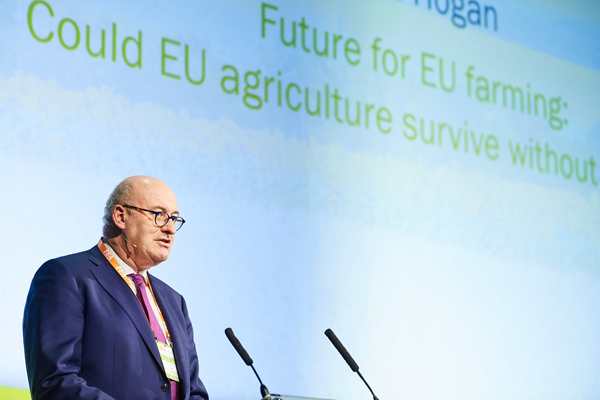 Speaking at FFA2018, Phil Hogan, the Commissioner for Agriculture and Rural Development, told the forum that he and his colleagues are in the final stages of reshaping the EU’s Common Agricultural Policy (CAP). The Commission plan will “bring European farming and food production fully and firmly into the 21st century, placing it at the heart of our international commitments on climate and sustainability,” he explained. The new CAP delivery model will be firmly based on performance and results, with one streamlined strategic plan to be designed by each EU country, encompassing all aspects of the policy. It will include common rules to tie farmers’ income support to environment- and climate-friendly farming practices. Member states will be able to tailor entry-level environmental and climate measures best suited to their local conditions. The new combination of mandatory and voluntary measures will provide national authorities and farmers with greater flexibility. “The whole package will therefore help farmers to follow various avenues of ‘smart’ agriculture, including precision farming,” the Commissioner said. It is also designed to give farmers confidence in an attractive and rewarding career path. “Sustainability is not just a question of the environment. We must also ensure the sustainability of our farmers’ incomes,” he insisted. Mr Hogan firmly denied any suggestion that the changes amounted to a renationalisation of the CAP. The updated policy did not “in any way, shape or form” give member states a free hand and the Commission “will remain the sole guarantor of the policy and the engine of our new delivery model”. 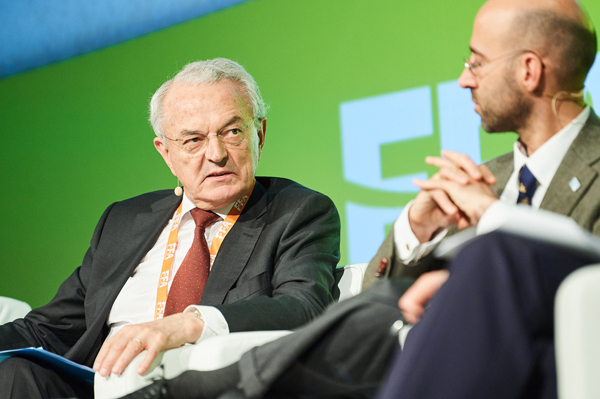 Jean Arthuis, Chair of the European Parliament’s Committee on Budgets, agreed that the CAP’s overall aim was to ensure the competitiveness of European farming, while protecting the climate and the environment. “Therefore, it is clear research and innovation have to be stimulated,” he advised. The French MEP pointed to the need for stabilisation measures to cushion farmers from price volatility. This, he suggested, could be achieved by building up financial reserves, out with the annual expenditure, for use in crises. Ariel Brunner, Senior Head of Policy for Europe and Central Asia, Birdlife International, maintained that Commissioner Hogan’s presentation of the new CAP contained no analysis of real problems and was devoid of very specific objectives. “The question is: are we going to see a CAP for change or a CAP for business as usual?” he asked. Ariane Lotti, an agricultural entrepreneur and Managing Partner at Tenuta San Carlo, running a 480 hectare multifunctional and diversified farm, explained how drought and other factors had turned 2017 into an extremely difficult year for her business.